This past weekend marked the beginning of the USQ season, with a series of opening tournaments spread across the country. But this season does not end until over six months from now, in mid-April, with USQ Cup 12. This six-plus month schedule gives our sport one of the longest seasons around, longer than almost any other college sport and almost any other professional or semi-professional sports league in the country. So how did we get here? Six years ago, USQ–at that point still known as the IQA–made the decision to move its annual national tournament from November to April and introduce regional-qualifying tournaments that granted entry to the championship. The decision codified the current seasonal structure, with locally-run tournaments used to fill in the gaps in the schedule and keep teams playing throughout the regular season. Various regions also have unavoidable intermissions in their game schedule, with cold weather regions all but shutting down for three months mid-season and the West barely starts play until November. While the length of the season is not inherently an issue–the more quidditch the merrier–the issue is that more time has not historically meant more quidditch. This past season, of the college teams to make the Sweet 16 at USQ Cup 11, only three played 30 or more games before nationals, which would be an average of just five matches per month. The title-winning University of Rochester only played 11 official games all season that were outside regionals or nationals. Runners-up University of Texas played only 17, and they have the benefit of playable weather for all six months. Not only are teams rarely competing during the regular season, but the current USQ seeding system for regionals and nationals actually penalizes teams that play more games leading up to major tournaments. Provided that you hit your qualification minimums for games played–minimums that are truly miniscule given the length of the season–it is often sensible to abstain from further official matches, or to only play them against teams that are worse than you. For teams on the borderline of nationals qualification, a better regionals seeding can literally be the difference between qualifying and coming up short. Until strength of schedule can fully stand up to artificially loaded win-loss records and point differentials, a small schedule against a series of cupcake opponents is often the best way to go about scheduling official games for the season. Clearly, the current format, as scripted, is simply not working for the league anymore. 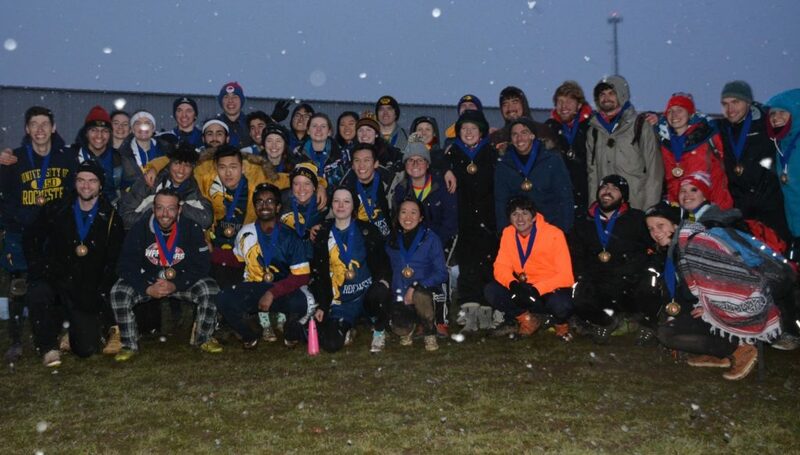 A season built for a very different quidditch world–we were still on real broomsticks with off-pitch seeking at the time–is well overdue for some updates. But with a handful of changes, we can make massive strides towards improvement. Quidditch conferences are a long standing organizational apparatus in quidditch. Conferences like the Massachusetts Quidditch Conference and the Snow Belt Quidditch Conference have existed for over five years, while new conferences like the Western Collegiate Conference and the Lakefront Quidditch Conference are beginning to pop up all over the country this season. The largest benefit of such conferences is the ability to schedule and organize guaranteed, semi-regular play. 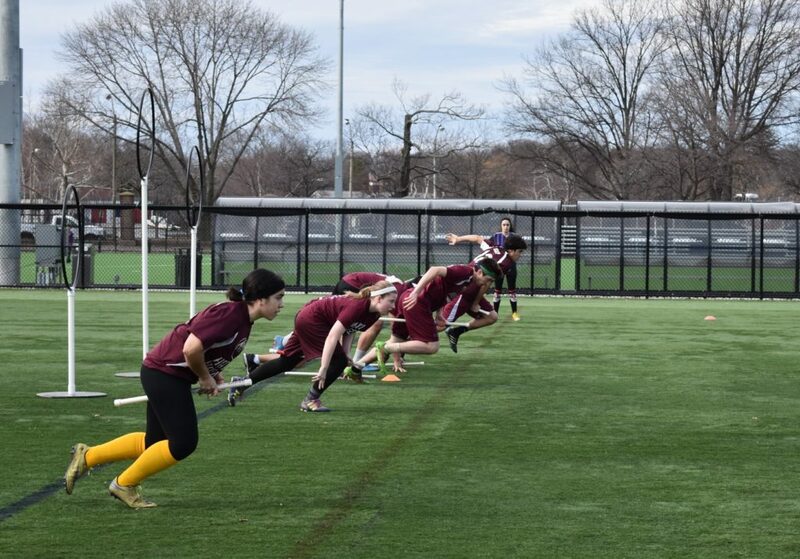 The Massachusetts Quidditch Conference, for example, had its season-opening tournament this past weekend and will have match weeks almost every weekend until regionals going forward. Currently, the biggest shortcoming of these conferences is a lack of administrative weight. Teams can opt out of some– or all–of their matches without punishment, because these community-run conferences have no backing from USQ. With all of the reasons mentioned above for carefully tailoring your regular season schedule for seeding advantages, it would not make sense for teams to willingly consent to a standardized schedule. That is, of course, unless USQ mandated conference play. Conferences could still be community-run, with conference leaders reporting to USQ in some straightforward form. Basically, anyone could create a conference, which would need to have a minimum of four teams and which would be required to accept any college team interested in applying within a certain geographical radius. USQ could then put gameplay requirements on the conferences, such as game minimums, required fall and spring play and conference championship tournaments. 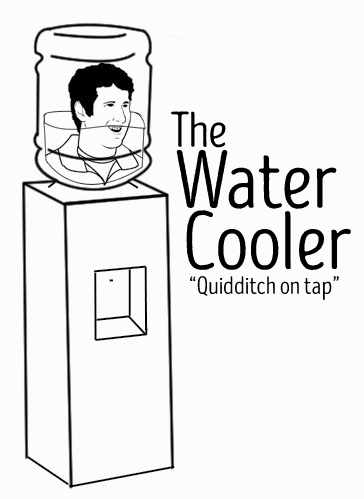 For example, let’s say I want to start a conference in Boston: the New England Quidditch Conference. First, I would find four interested teams and–once those teams are confirmed–I would submit an application for my conference to USQ for the 2019-20 season. USQ would then approve the application and set a conference radius of, for example, 100 miles. In the lead up to the season, any USQ official college team within my radius that applies to the conference has to be accepted. Once the conference locks on Sept. 1, 2019, USQ would then give me play requirements based on number of teams. So, if the conference has four teams, the teams might be required to play each other four times each, but if the conference has eight teams, the conference might be required to play each other twice each. Then, I would also be required to schedule a spring conference championship tournament that all teams would be required to attend. This instantly solves multiple central issues discussed above. Teams can no longer tailor their schedules, because they have to play every other team in the conference, and they cannot prevent geographically local teams from entering the conference. And with the sliding scale of how many conference games are required, you can up the number of required regular season games as far as you would want. An eight-team conference with three required regular season games each? There’s 21 mandatory games per team. Conference championships and required spring semester conference play also give teams that did not qualify for nationals guaranteed play and something to work towards in the spring semester, a lack of which has hurt many young teams in the past. Of course, there are some clear shortcomings to a plan like this. Some teams are just too geographically isolated to manage regular conference play. For those teams, there would be a waiver process available to get out of mandated conference play and instead have play requirements similar to those that currently exist. There would also likely be teams that try to manipulate the process by creating small conferences in the same geographic location as another conference to avoid playing specific opposition, but that could be prevented with USQ’s approval process. Some teams might also struggle to get the roster numbers and depth required for more regular play, but increasing players’s dedication to quidditch should be a goal not a hindrance. Also, if conference hold larger meetups that basically function like tournaments, you can get the games required in less trips. Such a major shakeup will of course have its setbacks, but the stabilization that mandated conference play would bring to the college regular season more than makes up for it. For the approximately 30 USQ-official club teams scattered across the country, the regular season could often be considered a waste of time. They first need to find their regional requirement games. Because cub teams are so often isolated from one another, they’re usually forced to beat up on college teams. This is, of course, if they can find college teams to play them who are willing to take the hit in the USQ standings. These games qualify club teams for regionals, which are even more unbalanced due to the scarcity of club teams. Last season, the Bosnyan Bearsharks–on their way to a second-straight Final Four appearance–had to qualify as an at-large bid because of the talent-loaded club division at the Northeast Regional Championship. This can be in part fixed by super regionals, but you’d still have situations like that of the Midwest and Great Lakes Super Regional, which this year will include zero Great Lakes teams and just four Midwest teams–not even enough to meet the requirements for a regular regional. Currently, If a club team fails to successfully qualify in the lopsided regional format, they then have to seek out more games against overmatched opposition to earn an at-large bid. Not only are they encouraged to only play teams they know that they will beat handily, but they have to actively avoid games against other top-tier club teams, reducing the amount of competitive quidditch all around. The entire process above exists so that, this season, 30 total club teams can be whittled down to 24 at nationals. That is an incredible amount of unnecessary, non-competitive regular season play to eliminate six teams, especially when there’s a decent chance that travel costs to nationals will do that themselves. Instead, we could completely do away with the mandatory regular season and regionals play in the club division. Let club teams go official to participate in tournaments if that’s what makes sense in their area of the country, but don’t force that on the teams that won’t benefit. Get rid of cub regionals, where the champion does not matter–I actively had to think about who the Northeast Regional Club Champion was last year, and I head refereed that match–and where qualifying is all but a guarantee. The club championship would remain at USQ Cup, but it would be an open tournament. The only requirements would be that the team is an official USQ club team. If the fear is that the field will become too large–a fear that today seems rather unfounded–the tournament entry fees could be increased and a cash prize could be added for the top finishers. This would keep numbers small–teams aren’t going to pay more if they aren’t competitive–while also adding real stakes to the club tournament. It would be premature to get rid of the club division in USQ all together, even if its numbers are floundering. But a reduction in its regular season requirements would go far to give these club teams the flexibility they want and need while reducing unnecessary play and travel. Since the time that USQ was split into eight regions, there have always been four regionals in the spring and four in the fall. USQ’s reasoning has always been that the four fall regionals simply could not be played in the spring due to weather. And, if the tournaments have to stay outdoors, USQ is correct. There have been multiple years when teams left for nationals with snow still on the ground at home. While the fall regional schedule wasn’t inherently problematic itself, the first of the four fall regionals often was. The tournament regularly fell before Halloween, and gave teams less than two months to prepare for a season-defining tournament. USQ had always told the community that the first regional had to be that early because the last regional could not be pushed back any further into November. However this season, USQ stacked the four regionals onto just two weekends, and yet still kept the October weekend as a regionals date; this calls into question their motivations both now and in the past. My experience coaching college quidditch this season reminded me how problematic the fall regional schedule truly is for most teams. Harvard University had its activities fair only seven weeks before regionals. Open practices finished up six weeks before regionals, giving less than 50 days to get new recruits up to speed for major, competitive play. This does not even account for tournament logistics, as four regions–all in one general area of the country with serious volunteer overlap–try to plan enough games to get everyone’s regional requirements in. This issue has in part gone unnoticed because so many voices in quidditch come from club teams, and club teams do not have these same problems. Because they are working with exclusively veteran players, and because many of them do not even practice regularly, six weeks is really no different than 12 weeks. Thus the problem slips through the cracks, even as USQ actively makes it worse. Of all the problems addressed here, this should be the easiest fix. Either USQ needs to find a way to bring regionals inside, or at minimum these four regionals need to be played on the second and third weekends of November, giving teams and tournaments alike the time they need.